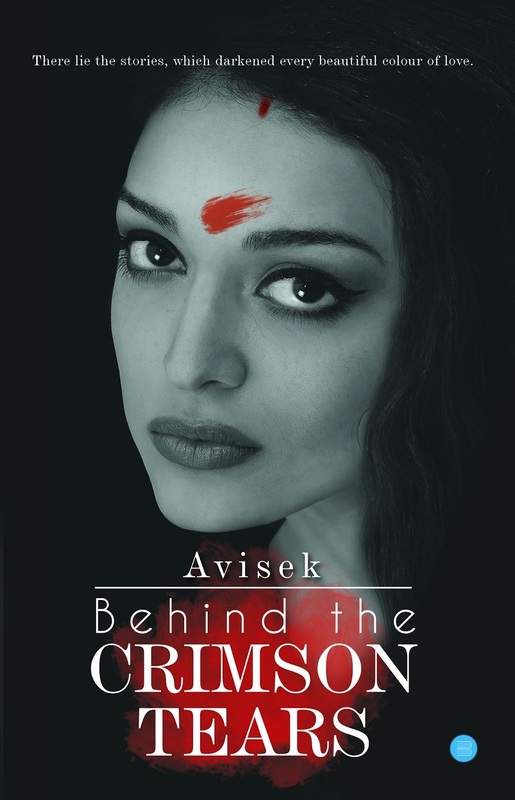 Avisek is a software engineer working in IT company based in Pune. His keen interest in literature and social issues made him to write his debut book “Behind the Crimson Tears” which is now being liked by all the bibliophiles out there. Apart from literature, he also has interest in art. He loves making painting and wishes to hold an exhibition too of his artworks. 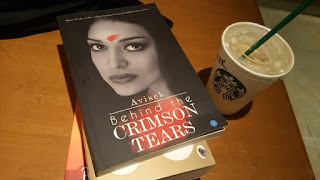 Behind the Crimson Tears is authored by Avisek which brings to you a dark and dramatic saga of pain, heartbreak, tears, revenge and strength. It’s a story of three college friends who share their individual stories of their agonizing past over a bottle of wine on a silent winter night. This dark drama tells how life can take us to our extreme limits and make us the person we never thought we could ever be. The plot is laced on some serious persisting social issues, which makes an attempt to send out an inherent moral that- yes , we may have problems in our lives and we choose to endure pain because we care... we love. But our tears are not our weakness. If we can stand rock solid with courage against all the odds then we definitely do have all the strength to fight back our problems too. We just need to introspect our innate strength which is forgotten in the dust of love, care and emotions. It's the strength to withstand, to endure, to fight back, to forgive, to let go and most importantly... it's the strength to smile! Q1. Please tell us about your childhood and early career? I was born and brought up in a city called Durgapur in West Bengal. It’s 2hours drive from Kolkata city. My childhood was just like any average guy. I have done my schooling and engineering from my hometown and then moved to Pune for job in a multinational IT company. And I am still working as a software developer in a IT company. Well that’s pretty much about my childhood and career life. Q2. What made you write your first book? I always had a keen interest in art and literature right from my childhood days. I love reading books and also make paintings in my leisure time. Books and paintings have always been my passion. But I never thought about writing my own book one day. It all happened all of a sudden. There’s a small incident actually which urged me to write my book. It was one day when I went to a hospital and there while waiting for my turn , I saw a lady – might be in 30s. From her clothes she looked like someone from a well established upper middle class family. She had a miscarriage and the doctor instead of consoling, was infact shouting at her and was asking her how it happened. From her bruises on her hand and eyes any layman could infer that she was beaten and it was a clear case of domestic violence. But she replied, “I fell down from stairs”. That incident really created a turmoil inside me. I kept on thinking- why that lady didn’t speak out the truth that day? What might have happened with her actually? Could there be more woman like her who are silently enduring pain of such marriage and domestic violence? - and when I actually researched on this issue, the statistics were really disturbing! That’s when I decided to write my book on such topics which do happen in our society but are often less talked about! Q3. Tell us more about your book? My book is actually a mix of three different stories of three friends , blended with some emotions and a high voltage drama. All the incidents and situations I wrote, could be related to some real-life instances which we often find happening around us. I hope my readers will definitely love the plot and the drama in the story. I made all my efforts to keep my readers hooked till the end! Q4. Who is your favourite author and book? Well, I am an ardent reader of thrillers and dramas. 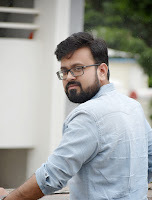 Among Indian authors, my favourite is Novoneel Chakraborty. He writes thrillers and all his books are awesome, I must say. I have also read few romance and I really loved the ones written by Ravinder Singh. It was a delightful read. Apart from these, I also love classic stories written by Charles Dickens and Rabindranath Tagore. Q5. Getting the facts right is one of the hardest things while researching and writing a fiction or non-fiction, based on real life experience. Being an author of a fiction, I believe that to overcome that research requires a lot of hard work from your side. What kind of research you did for writing this book? Yes, indeed. The research work was really difficult and tiresome. It took me around five months to research on my story. I wanted to know the life and experiences of the people closely. For that, I went to hospitals, asylums and read a hell lot of articles on such cases. I believe unless you know the pain of people, you can’t really pen it down aptly. After the research work, the character creation and scene designing also took a considerable amount of time. 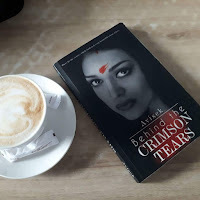 I mixed the real instances with a fictional drama with my own creativity , to build up a story for my book and also tried to portray the scenes in an enthralling manner to give my readers a reading delight. Q6. What do you want to say about the publishing industry and its future? Well, it’s all a business now-a-days. That’s all I could say about publishing industry. “There is no free lunch in this world” But I really hope someday this industry starts looking for stories and not money! Q7. What are your upcoming projects? Right now , I am working on my second novel and doing a bit of necessary research work for my story. It is also based on another social issue. Hopefully, I will be able to come up with yet another interesting story. Also in parallel, I am working on some short stories which will hopefully be a part of an upcoming anthology. Q8. What do you consider as your biggest accomplishment? I write fictions which deals with some serious social issues persisting in our society. 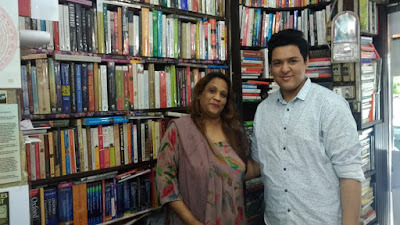 I believe that if my stories touch the heart of the people, entertain them with an emotional roller-coaster and also inculcate a bit of strength to live life bravely with high spirits and toughness - that will be the biggest accomplishment for me as an author. Q9. What is your definition for ‘Success’? I have a very short, simple and meaningful statement for this question, which I heard long back. It says, “Success is when your signature becomes an autograph”. Q10. Anything you want to say to the readers, to me and to aspiring authors? Believe on your instinct, observe people and understand them. Every human being has their own story to tell. All smiling faces are not happy and all crying faces are not weak! So stop judging! If you think that this world is a bed of roses and everyone is happy, think again. And if you believe that this world is full of pain and miseries, observe again, analyze again! Life is still beautiful in its own way! Q11. So, we have come to the last question of our wonderful conversation. How can readers connect with you? You can connect with me on facebook, instagram, twitter, your quote. Thank you Avisek for your valuable time!